♦ Focusing by rack and pinion. ♦ Illumination by plano – concave mirror.8.5 Standard stable base. • Rigid, vibration free single piece (base, column & arm) Aluminum alloy casted body in white color and blue on sides, with transmitted light, power supply & brightness control integrated in the base. Lightweight but stable, strong easy to carry. • Smooth precise, Ball bearing loaded, Inward quadruple nosepiece , positive stops for centred alignment of objectives. • Graduated double layer Mechanical rectangular stage, size 140 x 132mm with cross travel 90mm (X) x 65mm (Y) on ball bearing with co-axial controls. • Coaxial coarse and fine adjustment, with coarse adjustment stop and tightness adjustment, range: 25mm, Precision 0.002mm..
• Illumination system LED 3.5 W 3 V with intensity control regulator, Universal power supply 110 V – 240 V, CE approved. Higher Performance For Educational Research Purpose or Biological Applications. 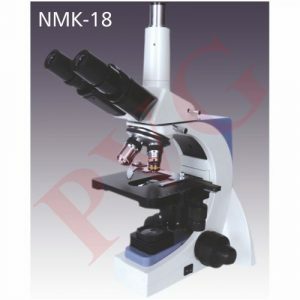 Superior Image Quality with Reliability and Rigidity with easy and safe operation. ◘ Casted aluminum frame with chemical-resistant coating stands. 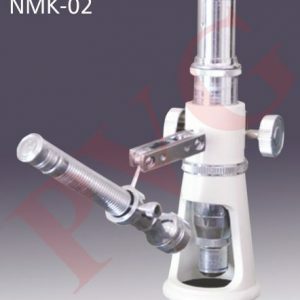 ◘ Smooth Quadruple revolving nose piece, ball-bearing mounted with high precision. 4x (0.10 NA), 10x (0.25 NA), 40xRetractable (0.65NA) and 100xoil Retractable (1.25 NA) superior plan objectives are DIN achromatic, parcentered, and parfocaled. ◘ Focus-Lock prevents damage to the slides or specimens. ○ Casted aluminum frame with chemical-resistant coating stands. 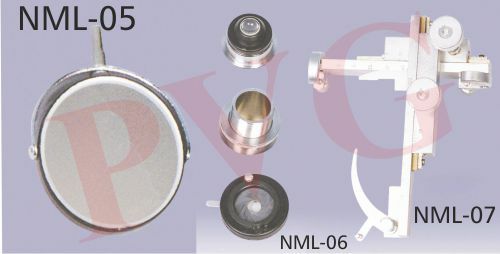 ○ Smooth Quadruple revolving nose piece, ball-bearing mounted with high precision. 4x (0.10 NA), 10x (0.25 NA), 40xRetractable (0.65NA) and 100xoil Retractable (1.25 NA) superior plan objectives are DIN achromatic, parcentered, and parfocaled. 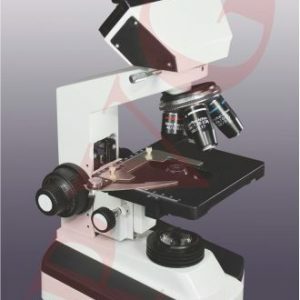 ○ Focus-Lock prevents damage to the slides or specimens. Body All aluminum pressure diecasted body. P.U. Coating in light cream shade. 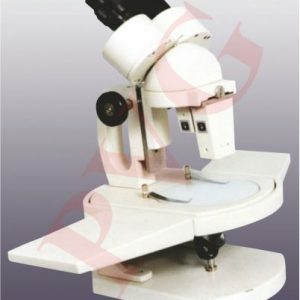 Observation head 360° rotate able and 30° inclined head with all anti-fungus coated prisms. Eyepiece A paired 10X wide field eyepiece. Nose piece Reverse type Quadruple ball bearing Nosepiece. Focusing system Co-axial focusing system with three planetary gears assembly. With slide protection lock. 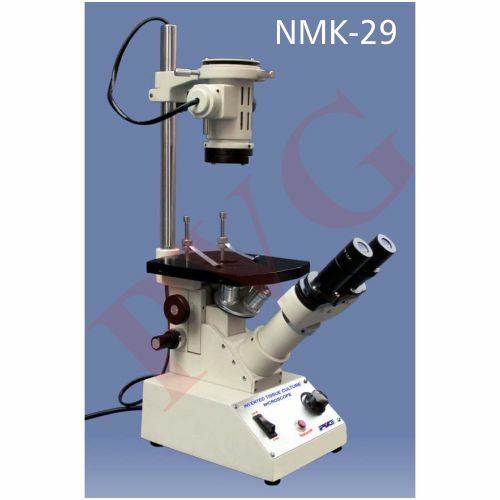 Mechanical stage Coaxial Ball bearing double-plate mechanical stage for Smooth functioning. Condenser Bright field sub stage condenser having 1.2 N.A. 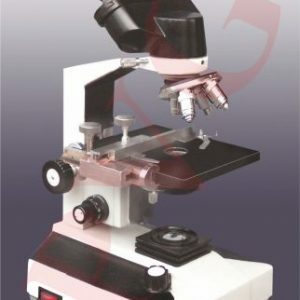 An Abbe Condenser set combined with an adjustable Iris Diaphragm, recommended for use with higher magnification objectives, i.e. up to x 100. N.A. 1.25. Clear heavy glass, with cover to hold five slides of size 75 x 25 mm. With lid, to hold 10 slides of size 75 x 25 mm. For microscope slides, packed in a box of 100. Size 22 x 22 mm. Large lens for wider view. Eye piece 10 x or 20 x easily replaceable by a 83 mm bull lens for much wider view. Focussing by smooth rack and pinion adjustment. Square stage with glass plate and locked in stage clips. Stage with detachable hand rests. Stage with groove for inserting plate for opaque or black background. In wooden case having lock and key facility. Sturdy Construction Large lens for wider view. • Eye piece 10 x or 20 x easily replaceable by a 83 mm bull lens for much wider view. • Focussing by smooth rack and pinion adjustment. • Square stage with glass plate and locked in stage clips. • Stage with detachable hand rests. 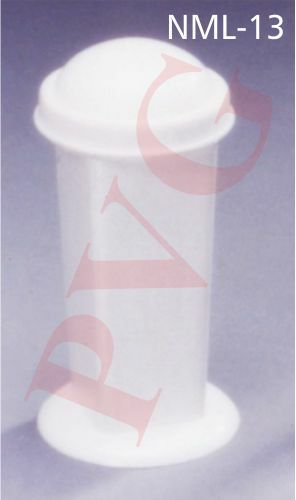 • Stage with groove for inserting plate for opaque or black background. 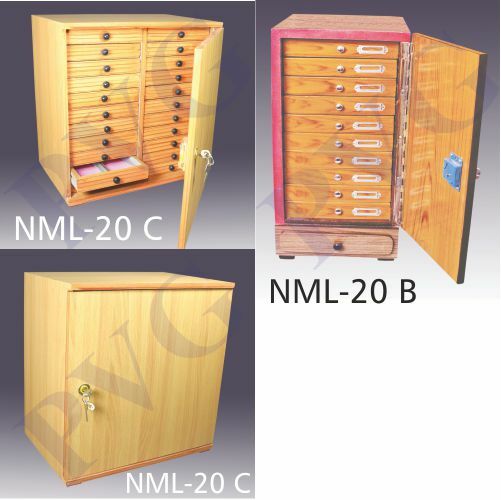 • In wooden case having lock and key facility. 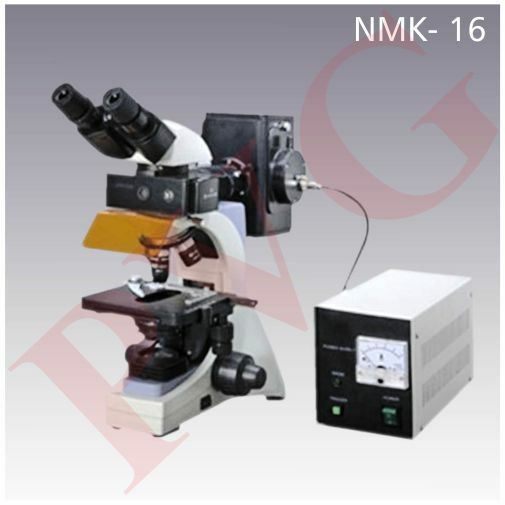 Adopting CMOS imaging chips with resolutions of 130 Mega Pixels, can be applied to various typical types of Biological, Stereo, Metallurgical, Fluorescence, and Polarizing Microscopes. • Watch live image on your computer. • Auto brightness and fine focus. • x 5 Huyghenian without pointer. • x 5 Huyghenian with pointer. • x 10 Huyghenian without pointer. • x 10 Huyghenian with movable pointer. • x 10 WF without pointer. • x 10 WF with movable pointer. • x 15 Huyghenian without pointer. • x 15 Huyghenian with movable pointer. Unique, portable design and economical model for field studies. • Illumination is provided by daylight or battery powered light source that is included. 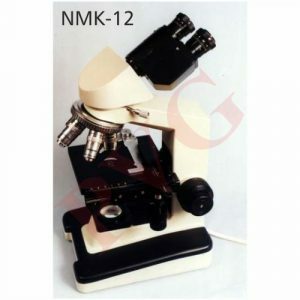 For biology, medicine, immunology, oncology, genetics, and materials science applications. 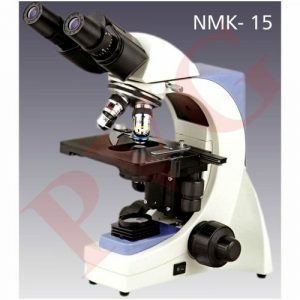 Trinocular Infinity Plan Epi-fluorescent microscope with 1.3MP Fluorescent Camera can record videos, capture still images. Can also measure length, angle, area, and etc. across the images. 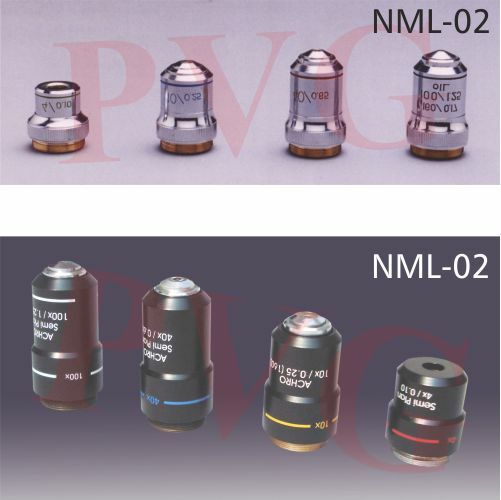 A powerful illumination system that can be used in place of the mirrors on PVG Microscopes. Each illuminator comes with a with LED Light sources for use on 220 V 50 Hz AC. 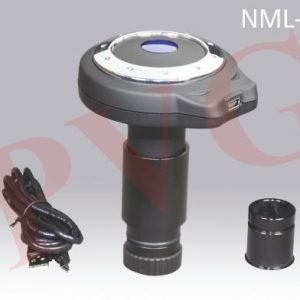 Monocular, 45º inclined, 360º rotatable head, with 10 x wide field eyepiece. 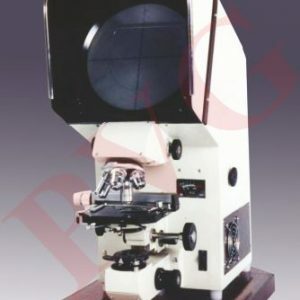 Quadruple revolving nosepiece with quick change of magnification by a click stop. Achromatic objectives 4 x, 10 x ,40 x spring loaded, 100 x spring loaded oil immersion. 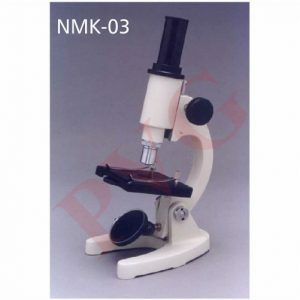 Best quality parfocalized and precentered objectives and eyepieces are provided to ensure finest performance. Fixed stage 120 x 120 mm with precision mechanical stage for x and y movement of the slide upto 75 x 50 mm having fine graduated scale and vernier on both sides. Graduated fine focussing knobs. Separate coarse and fine motion with deep cuts rack and pinion. With positive preset travel stop, which prevents damage to the slide or objective. Substage light field moving condenser 1.3 N.A. with iris diaphragm. 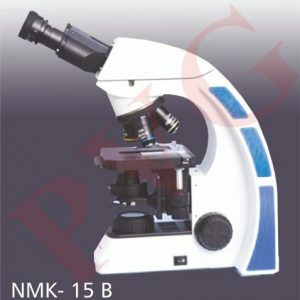 Heavy stable base with built-in illumination by 6 V 20 W halogen lamp through solid state transformer for use on 220 V 50 Hz A.C.
Monocular head rotates 360º and is inclined 45º with 10 x wide field eyepiece, which can also be replaced by binocular head. Achromatic objectives 4 x, 10 x, 40 x spring loaded, 100 x spring loaded oil immersion. Positive, preset travel stops prevent body tube removal and slide damage. Dependable rack-and-pinion coarse adjustment with separate fine adjustment. In-stage condenser and five- aperture disc or iris diaphragm with filter holder. Illumination by plano-concave mirror which can be replaced by substage lamp. Traditional stable stand and base finished to a very high quality. Supplied complete with dust cover in thermocole case. For day to day needs of research students in Agriculture, Entomology etc. High Quality coated optics for sharp and clear vision. Adjustable height to take large and thick specimens. ► 45º inclined stereo head. With independent focus on left eye tube. ► Paired 10 x wide field eyepieces. ► Slide in type of objectives 2 x and 4 x . ► Widefield view and three dimensional vision with erect image. ► Inter pupillary distance from 55 to 90 mm. ► Working by rack and pinion with preset travel stop. 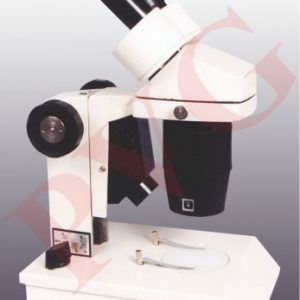 ► Pole type stand easily allows repositioning of the head to view specimens of varying height or thickness. 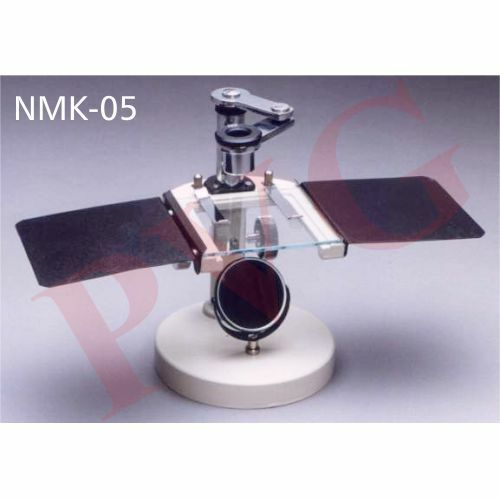 ► Clear glass stage, black & white matted plate, removable stage clips. ► With a dust cover in a plywood case with lock and key. 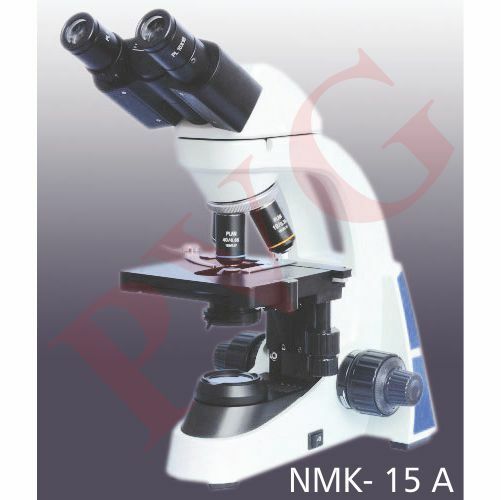 Ideal for tissue culture, microbiology & biological tests. Inverted design, with simple operating procedure. ♦ Sturdy heavy rectangular base with built in solid state trans former having light intensity control. ♦ Vertical incident illumination by a 6V 12 W halogen bulb in special lamp house focussing, complete with field and aperature diaphragms and filter slots. ♦ Heavy large stage plate with two removable stage clips. ♦ Binocular observation head inclined at 450 rotatable at 360 with dioptric adjustments. ♦ Quadruple revolving heavy nose piece. ♦ Objectives : 5x, 10x, 20x and 40x spring loaded. ♦ Separate coarse and fine motion. Fine focus adjustable in a range 2 mm. 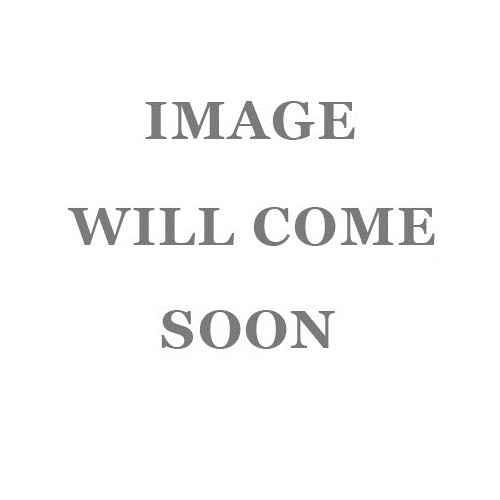 ♦ Supplied packed in a wooden box with dust cover. ◘ Monocular light weight body, tube length 160 mm. 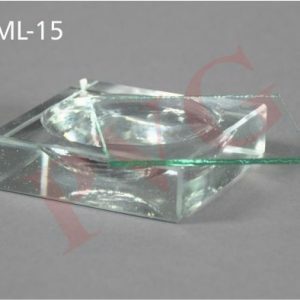 ◘ Eye piece 10 x or 15 x. ◘ Focusing by rack and pinion. ◘ Single objective 10 x. 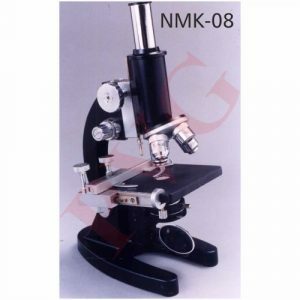 ◘ Magnification 100 to 150 x. ◘ Fixed black square stage of size 90 x 90 mm with removable stage clips. ◘ Illumination by plano-concave reflector mirror. ◘ Standard stable horse shoe shape base. 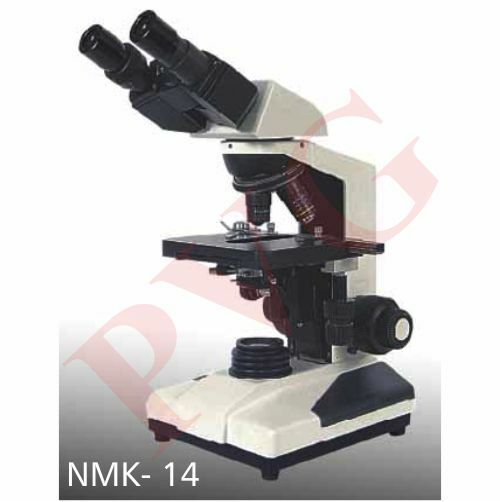 ◘ Microscope can be inclined for easy viewing. 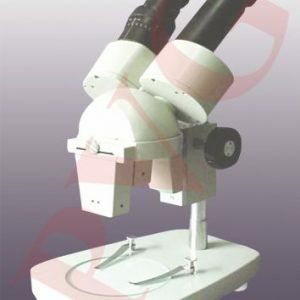 Attachable to any standard microscope stage by means of 2 clamp jaws set at 900 to each other. 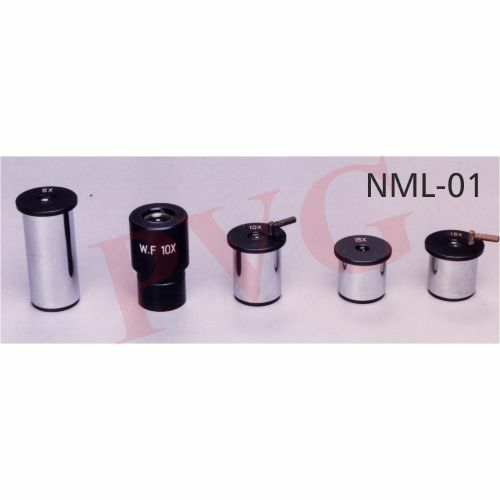 Graduated movements are adjusted by rack and pinion mechanism and have vernier scales. Movement ranges graduated 40 to 115 mm x 1.0 mm and 0 to 45 mm x 1.0 mm. Vernier reads to 0.1 mm. 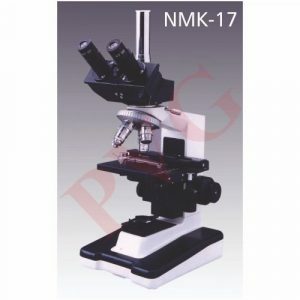 A Compact and Easy to Handle Microscope with Excellent Performance Priced within one’s budget but with many featuresnormally found in expensive models. Designed for years of rugged use, with fully coated optics of high quality. As above but of seasoned white wood, moulded plastic grooves to hold slides, lid without mica from outside. As above but slide holding grooves of aluminium and fixed on bottom covered with thick colored paper sheet. 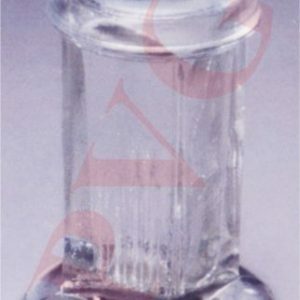 Clear glass, uniform with ground edges, size 75 x 25 mm, thickness 1.0 to 1.2 mm. In boxes of 100 slides. Main Body: Highly rigid, vibration free single piece (base, column & arm) Aluminum alloy casting, with transmitted light, power supply & brightness control integrated in the base. The frame is stable,strong, big & easy to carry. Pure white body with blue on the both sides, is fresh and vivid design. Stage: Graduated Double layer Mechanical rectangular stage, size 140 x 132mm with cross travel 90mm (X) x 65mm (Y) on ball bearing with co-axial controls. Light Source: Light Source: KOHLER Illumination system LED 3.5W 3V with intensity control regulator, Universal power supply 110V – 240V, CE approved. 50 mm diameter plano and plano-concave optically true mirrors. For storage of prepared 75 x 25 mm slides especially for slides (whole mounts) with thick mounting media, in aluminium trays. Body fabricated out of thick board clad in mica lamination sheet. Thickly anodized aluminium trays with capacity 20 slides each, moves in wooden grooves horizontally. Door with a lock and key facility, an extra drawer for keeping index sheets. 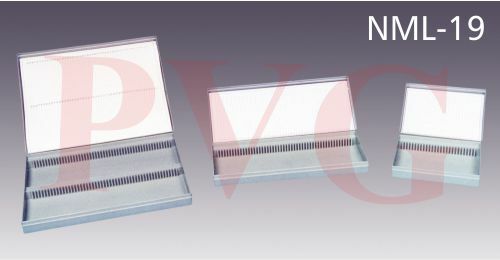 A unique combination of storing prepared microslides in flat as well as in vertical position depending upon the nature and mounting of slides. Cabinet fabricated out of thick board clad in mica lamination sheet. Lockable door. One half of the cabinet holds thickly anodized aluminium trays for 20 slides each in a flat position and other half carrier drawers to hold slides in vertical position in serially numbered wooden grooves mounted on cushioned bottom. An extra drawer for keeping index sheets. (c) Also available for capacity 2000, 3000, 5000 and 1000 slides. (a) As above but with plastic grooves for slides. (b) As above but with aluminium grooves. Provided with screw for attachment to stage. Clear glass block with cavity and cover. Polished wooden with six holes to accept six dropping bottles of 60 ml capacity. Stand rests on the rubber feet. 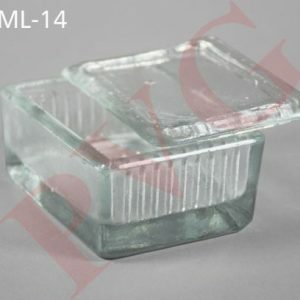 Heavy glass, rectangular with cover, for ten slides of 75 x 25 mm. ♦ Three dimensional wide field of view. ♦ Widefield eyepieces 10 x paired of 30 mm dia. ♦ One eyepiece tube with diopter adjustment. ♦ Sliding type parfocal objectives 2 x and 4 x. ♦ Long working distance of 80 mm & 55 mm and large field of view. 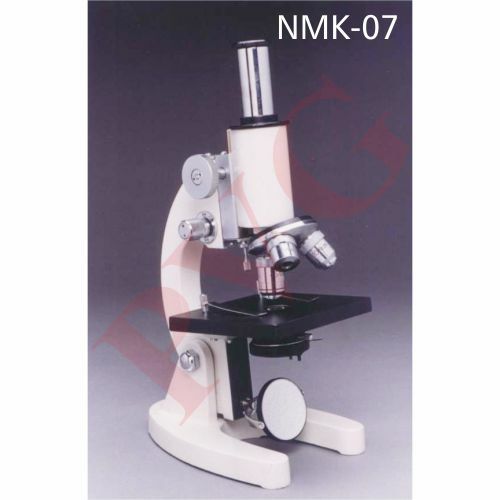 ♦ Magnification 20 x to 60 x. ♦ Fine focussing by rack and pinion motion. ♦ Stage with detachable stout hand rests. ♦ Round glass stage with black and white matted plate and removable stage clips. 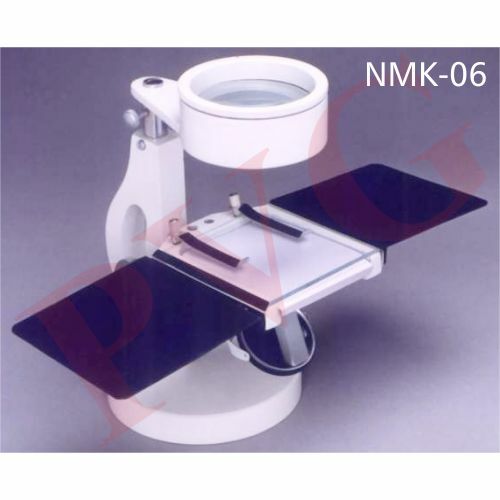 ♦ Fixed transillumination stand with reflector. Simple, Portable, economical & easy to use model. A versatile model for fine dissection work & close study of small organisms like hydra, daphnia etc. ♦ High point eye lens x 10 or x 20 mounted on a jointing arm allowing the whole stage area to be scanned. ♦ Focussing by smooth rack and pinion movement. ♦ Wide glass stage plate with locked in two spring clips. ♦ Detachable rests on either side of the stage provides a steadying support for hands during fine dissection. ♦ Illumination by a reversible substage mirror/opal face illuminator. ♦ Wide round stable base. 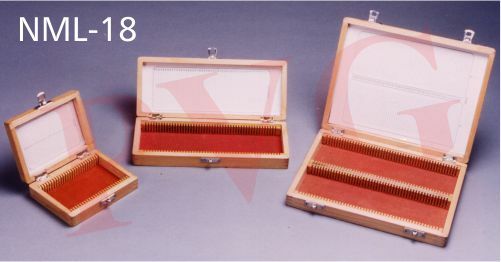 ♦ Supplied packed in a wooden storage and carrying box with fittings for lenses and hand rests along with a dust cover. 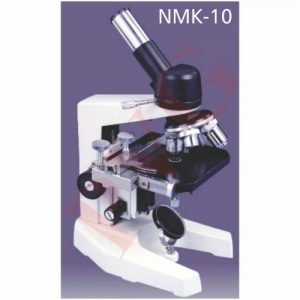 Simple, Portable, economical & easy to use model.A versatile model for fine dissection work & close study of small organisms like hydra, daphnia etc. 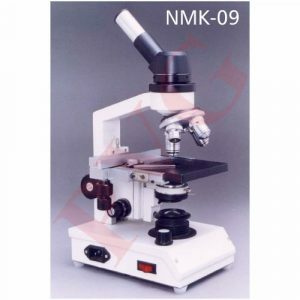 ◘ Widefield 10 x pointer eyepiece and triple nose piece with parfocal 4 x, 10 x and spring loaded 40 x objectives. ◘ Rack and Pinion coarse adjustment with separate fine adjustment. ◘ Positive, preset travel stops prevents slide damage. ◘ Plain stage with locked-in stage clips. ◘ In stage condenser and disc or iris diaphragm. ◘ With locked-in, plano concave mirror or substage illuminator. ◘ All metal construction with chemical resistant, backed on paint finish. ◘ Supplied complete with a rexin dust cover, duster and Safely packed in a wooden box with lock & key facility.